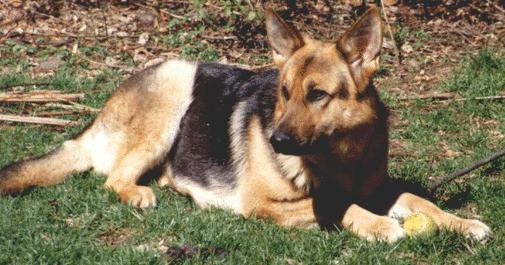 Elen is a German Shepherd. We adopted her in January, 1997. 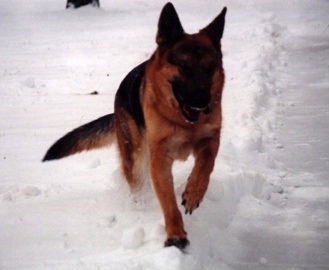 She was born October 19, 1994 at Misty Ridge Kennels in Taylorsville, MD.. She has completed an intermediate level obedience course and is also a CGC. She was very isolated for her first two years, and was very tentative around new people for many years. In her younger days she was very good at obedience work, and learned new agility tricks quickly. Now more than 12 years old, she is starting to go deaf and suffers from cataracts.